Armasight Ninox Night Vision Goggles. Condition is Used. Shipped with USPS Priority Mail. Will come with the battery i have had in it, but will need a new battery after some use. Item works great especially for being only a gen 1. Might be a slight smudge on lens but probably just needs to be cleaned. Does not effect use of item. Has a built in IR. only comes with what is seen in pictures. Seems to have seen very little use. We have housed our top class optics and image intensifier tubes within ruggedly designed, rubberized aluminum bodies. For improved accuracy and ergonomics, all Orion series scopes feature precision top wheel focus. Has always been well taken care of and is a very power scope can easily decect heat over 1000 yards. Has several color pallets and redicles to chose from and one touch digital zoom. The body of the unit is made from solid aluminum; the O-ring is sealed and rubber coated for further protection. This night vision riflescope is also water, dust, and sand-proof for increased reliability. Infrared illuminators are used in areas where the level of natural light is not sufficient. An IR illuminator provides near-infrared light, which, although invisible to the naked eye, can greatly enhance the performance of Night Vision devices. Binocular night vision is better for sustained viewing periods and improved depth perception. Powerful, tough and practical – the Armasight by FLIR Dark Strider! ARMASIGHT by FLIR XLR-IR A-Focal Doubler - Doubles the distance of XLR-IR850 IR beam. ARMASIGHT by FLIR Goggle Kit #2. ARMASIGHT by FLIR Adapter #59. ARMASIGHT by FLIR ARFS3 - Advanced Range Finding Stadia for 3x A-Focal Lens. ARMASIGHT by FLIR ARFS5 - Advanced Range Finding Stadia for 5x A-Focal Lens. Rugged, light and compact the Armasight by FLIR Nyx -7 Pro is the perfect hands free unit for the casual user right through to the most demanding professional. ARMASIGHT by FLIR Goggle Kit #2. ARMASIGHT by FLIR 3x A-Focal Lens #22 (Nyx-14, Nyx-14-Pro, N-14, Nyx-7 Pro). The 24/7 mission capability is only one of the strengths of Zeus. The thermal imaging technology also allows you to detect targets by cutting through snow, dust, smoke, fog, haze, and other atmospheric obscurants. 10-years warranty on FLIR detector. The thermal imaging technology also allows you to detect targets by cutting through snow, dust, smoke, fog, haze, and other atmospheric obscurants. This shutter is used to perform a non-uniformity correction (NUC) also known as flat-field correction (FFC. ). The Armasight Command HD is a family of Thermal Imaging bi-oculars with professional 75mm and 100mm Germanium (Ge) objective lenses. The bi-ocular design is better for sustained viewing periods and improved depth perception. TheThe Armasight by FLIR BNVD is a dual-channelnight vision system. With a 51° field of view (FOV), it provides a large visual field without needing to move the binoculars. The BNVD uses advanced multi-coated optics and is built to last with a compact composite housing. ARMASIGHT by FLIR 5x A-Focal Night Vision Lens (Nyx-14, Nyx-14-Pro, N-14, Nyx-7 Pro). High-performance Afocal lenses quickly convert the night vision monoculars or goggles into a long-range night vision devices. 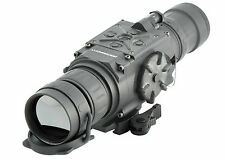 ARMASIGHT MNVD-40 2SD Multi-Purpose Night Vision Monocular Gen 2+ Standard Def. TheArmasight by FLIR MNVD is a multi-purposenight vision monocular. With a 40° field of view (FOV), it provides a large visual field without needing to move the monocular. The MNVD uses advanced multi-coated optics and is built to last with a compact composite housing. 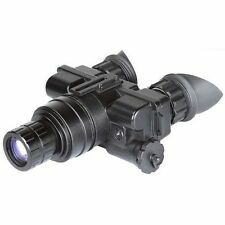 ARMASIGHT by FLIR 5x A-Focal Night Vision Lens (Spark, Sirius, NYX-7, N-7) w/Adapter #23. High-performance Afocal lenses quickly convert the night vision monoculars or goggles into a long-range night vision devices. Doubles the distance of XLR-IR850 IR Illuminator beam. Make sure you have the newer XLR-IR850 also or this new doubler will not work. The new IR will not have threads. Just let us know and we will do whatever you desire. High-performance Afocal lenses quickly convert the night vision monoculars or goggles into a long-range night vision devices. The Armasight by FLIR afocal lenses incorporate very fast optics and perfect field of view. TheArmasight by FLIR PVS-7 is the most widely recognized and dependable U.S. Militarynight vision goggle system available. The AN/PVS-7B/D system has proven itself in combat due to its rugged, ergonomic design. Available in 5X or 8X models, the Discovery is fitted with an detachable long-range IR illuminator and advanced electronic protection circuits. 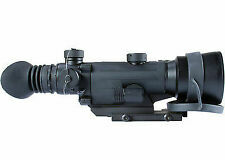 ARMASIGHT by FLIR XLR-IR850 Detachable X-Long Range Infrared Illuminator. In good used working condition. Command is a family ofThermal Imaging bi-oculars with professional Germanium (Ge) objective lenses. The bi-ocular design is better for sustained viewing periods and improved depth perception. The Command has the ability to record imagery and is equipped with video-out capabilities. The Zeus Pro uses a 9-pin multi-pin connector to provide videoin imagery, where there may be a need for map or rangefinder display overlays, and external power access. professional hunter. These options are further enhanced by professional militarygrade 30mm, 50mm, 100mm Germanium (Ge) objective lenses creating a wide variety. The latest Tau 2 17-micron uncooled FLIR core technology. The Zeus has the ability to record imagery and is equipped with a video-out capability in operator selectable NTSC or PAL formats. The 24/7 mission capability is only one of the strengths of Zeus. The Armasight by FLIR CO-LR LRF is intended primarily for use by the most demanding hunter or long-range target shooter, but with a build quality that makes it capable of much more. The CO-LR LRF housing is designed to take just about anything the great outdoors can throw at it. Factory bore sighted to tolerances of less than 1 MOA, no re-zeroing is required. The Armasight Apollo 324-30 Thermal Imaging is equipped with a locking (but quick-disconnect) mounting system which provides the user with an easy and quick way to attach/detach the device on a standard weaver or Picatinny rail. Armasight ANHG000004 Hands-Free Head Mount Goggle Kit #2 for Armasight Sirius, N-14, Nyx-14, and Nyx-14 PRO Model Monoculars. Item model number: ANHG000004. The Armasight Goggle Kit#2 is a hands free night vision monocular mounting kit that fits Armasight Sirius, N-14, and Nyx-14 multi-purpose night vision monoculars.